Alexandria Opossum Removal and Control! 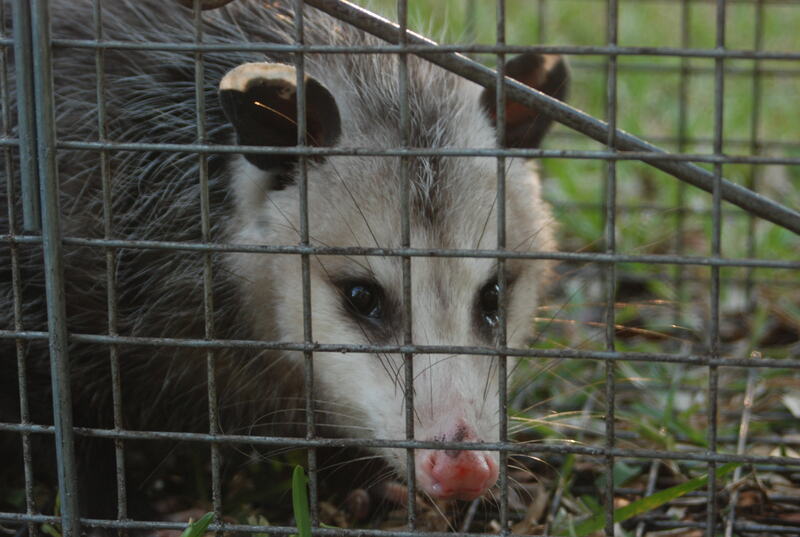 Alexandria Opossum Removal specialist can provide solutions to get rid of nuisance possums. Possum Removal should be initiated as soon as it is discovered and removal should only be attempted by a trained wildlife control professional. Alexandria Wildlife Pros provide complete solutions for possum removal and possum control. These nuisance pest will live in attics, under houses, under porches, and in many other structures. If you have discovered a possum creating havoc on your property call Animal Control Solutions at 703-881-3170 to remove these nuisance possums from your Alexandria, VA home. This North American Virginia Opossum is a member of the Marsupial family and is often called a possum in the Southern United States. Marsupial mammals typically have pouches, although in possums only females have pouches. Possums are medium size mammals typically the size of a house cat weighing anywhere from 4 – 14lbs typically. These animals have coarse black grayish fur, a white face, pink nose and pink tail. Possums are nocturnal scavengers, they will scavenge garbage cans, dumpsters, pet food and any other easy opportunity for a meal. Possums eat, nuts, fruit, small mammals, insects, and grasses. This vast array of diet makes it possible for these resilient mammals to live just about anywhere including in your Alexandria homes attic. The best method to of removing a possums is to trap and remove it. 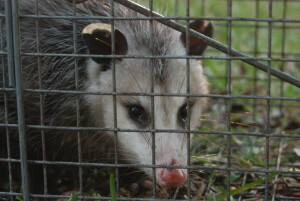 Animal Control Solutions Wildlife Control technicians are experts at possum trapping and provide services throughout Alexandria and surrounding areas.